This incident along the canal in Dublin shows the dangers on the roads at times; especially with large vehicles when their drivers are turning them. A cyclist has had a lucky escape after being involved in a crash with the driver of a large truck. 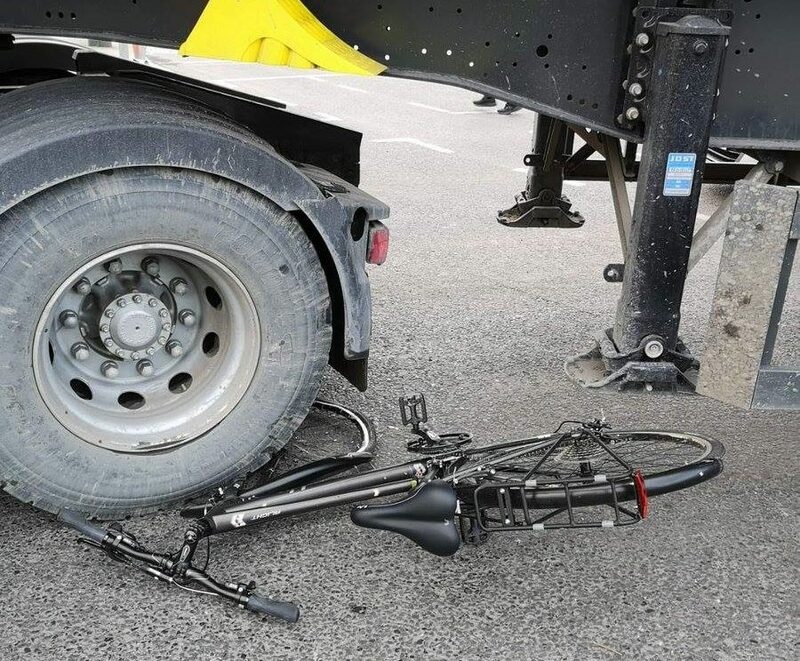 Dublin Fire Brigade has released these photos, showing the cyclist’s bike pinned right under the truck’s wheels. The incident occurred on the Grand Canal at Charlemont Luas stop in Dublin’s south inner city. It appears from the photos the truck driver had moved to the right to allow the vehicle room to turn left. However, the exact circumstances of the crash are still under investigation. And luckily the cyclist involved was not seriously injured. It was also good to see Dublin Fire Brigade being a bit more considered in its messaging when sharing the photos of the crash. “Only minor injuries received by the cyclist in this RTC this morning,” it said in a brief statement. “Fire fighter paramedics from Donnybrook and Dolphin’s Barn attended the scene. Dublin Fire Brigade has come in for criticism in the past for some of its messaging. In one instance a motorist hitting a cyclist and driving over their bike was a “reminder to wear a helmet” – with no mention of any advice for drivers. Just last October when a number of vehicles were overturned – one of them coming to rest on top of roadside railings – the fire brigade issued statements with no advice for drivers. Instead pedestrians were urged not to wear headphones and, instead, to pay attention (for flying cars, one assumes). And the car being overturned was apparently a reminder to parents to teach their kids about the dangers of the road.